Dry roast the chana dal on medium flame for about 7-8 minutes, until it starts becoming golden and releases aroma. Remove from heat and keep aside. Dry roast the mustard seeds and curry leaves. Add the semolina and dry roast everything together. Remove from heat and let cool. Mix the dal in and add salt and red chilli. Mix well and add water to make a thick paste. Do not add a lot of water. Keep aside for 20 minutes. Add Eno fruit salt and mix well. Keep aside for 10 minutes. Also a mixture of baking soda+baking powder can be used in place of eno (half-half). 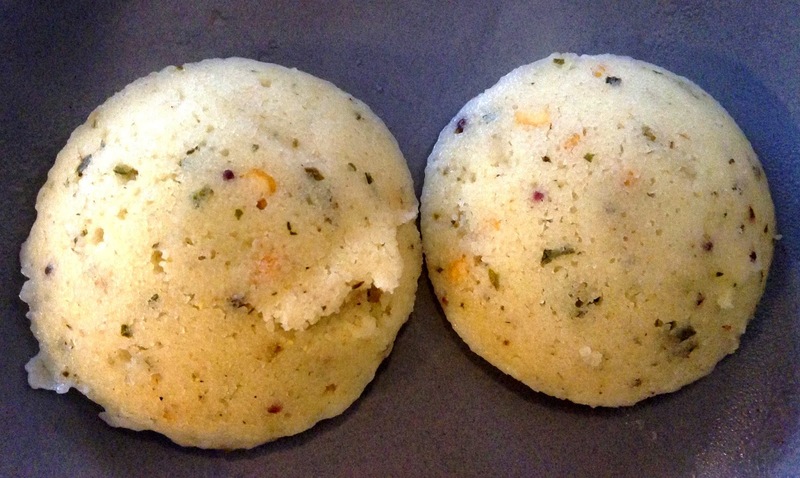 Lightly grease the plates of the idli stand and fill them up. Add water to the base and cover the stand. Microwave for 5 minutes. 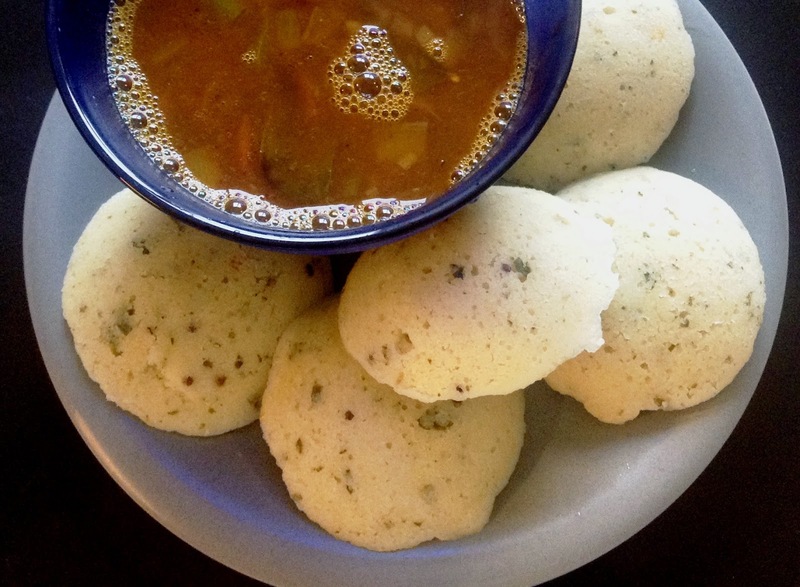 Remove from the steam and serve hot with sambhar and coconut chutney.